Globally, around 14% of all greenhouse gas (GHG) emissions come from agricultural activities; in New Zealand, the figure is nearly 50% (see inventory). 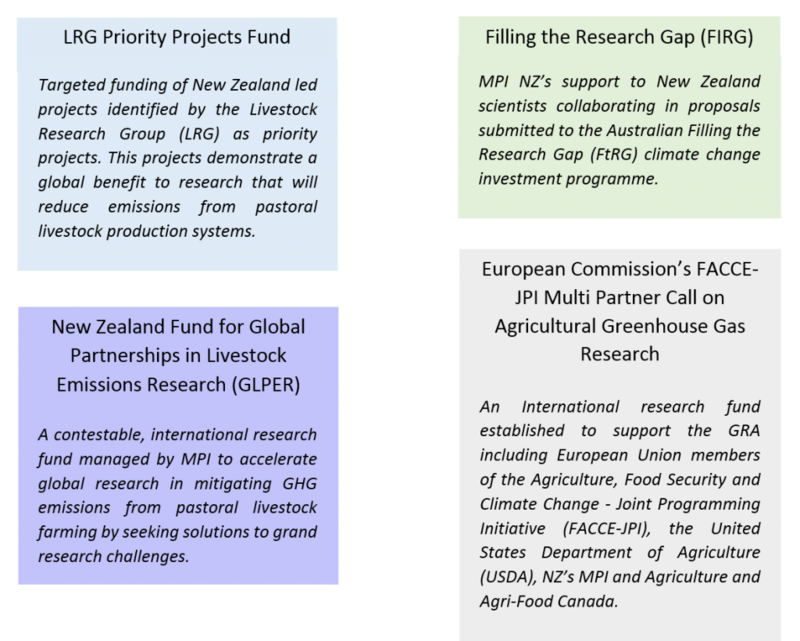 Our emissions profile and our well-established scientific research programmes to mitigate GHG emissions from temperate pastoral livestock systems have made New Zealand a key contributor to the Global Research Alliance on Agricultural Greenhouse Gases (GRA). Share knowledge on current best practices to reduce the GHG emissions intensity of agricultural production. 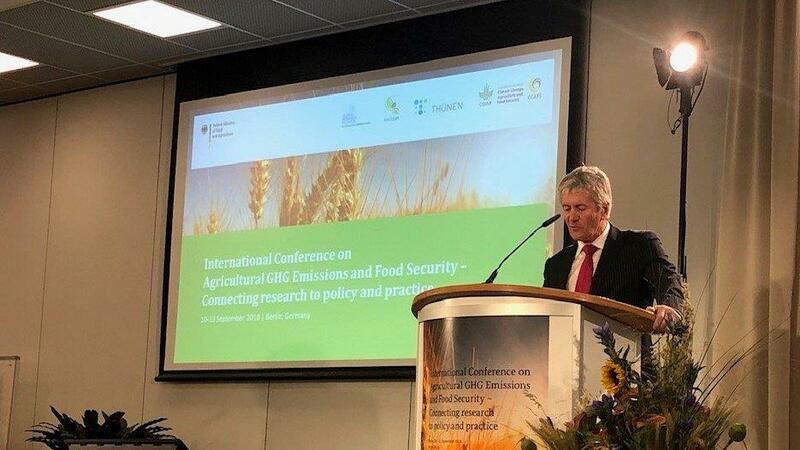 Align existing agricultural GHG research programmes across Member countries to achieve greater outcomes than any one country alone. New Zealand’s involvement with the GRA also provides opportunities for our scientists to collaborate with renowned institutes and researchers from around the world, and to share knowledge and expertise with the global science community. The New Zealand Government committed $45 million to the work of the GRA in 2010 and has recently announced a further 20 million out to June 2020. This money is available to fund research in the area of greenhouse gas emissions mitigation in pasture-based temporal livestock systems. The investment is split into two categories: research & development and capability building. New Zealand is represented in the GRA by the Ministry for Primary Industries (MPI), working closely with the environment and climate change groups from the Ministry of Foreign Affairs and Trade (MFAT) and the Ministry for the Environment (MfE). MPI contracts the New Zealand Agricultural Greenhouse Gas Research Centre (NZAGRC) to manage New Zealand’s involvement in the Livestock Research Group and New Zealand’s GRA science research activities. On this page you will find information on New Zealand’s research collaborations, and our capability building and engagement activities, to support the GRA. Projects within these funds are divided into three main areas of research: methane, nitrous oxide, and soil carbon. A list of projects can be found below. Research is divided into methane, soil carbon, and nitrous oxide projects, as well as whole farm systems projects. Click on the appropriate heading below to view each detailed list. Research to reduce enteric methane (CH4) emissions from ruminant livestock is very important in New Zealand agricultural greenhouse gas mitigation. Around 1/3 of our GHG emissions are in the form of enteric methane (a much higher proportion than found in other Annex 1 countries), reflecting our heavily agricultural economy. Understanding the process for soil carbon sequestration is key to helping mitigate greenhouse gases. Increasing the levels of carbon stored in agricultural soils offsets CO2 that would otherwise be released to the atmosphere (contributing to total emissions). Nitrous oxide is also very important to agricultural greenhouse gas mitigation in New Zealand, particularly in our pasture based grazing systems where the emissions can be difficult to control. Nitrous oxide represents 1/5 of New Zealand’s GHGs. Internationally agreed standardised guidelines and protocols to follow when using chamber methodologies to measure N2O emissions from agricultural soils (arable and grassland) have been developed. To reduce the total amount of agricultural greenhouse gases it is important to consider the whole farm system. Changing practices to reduce GHG emissions in one part of the system may lead to an increase in another part of the system. Therefore, understanding how technologies and practices will be implemented at the farm level can help us prevent unintentionally increasing total GHG emissions. These projects aim to help developing countries improve their ability to understand, measure and mitigate greenhouse gas emissions from pastoral livestock agriculture, drawing on New Zealand’s extensive experience and expertise in this area. New Zealand supports regional capability projects, technical training and regional workshops as well as fellowships and awards. The Livestock Emissions Abatement Research Network (LEARN) is New Zealand’s competitive fellowship programme under the GRA. 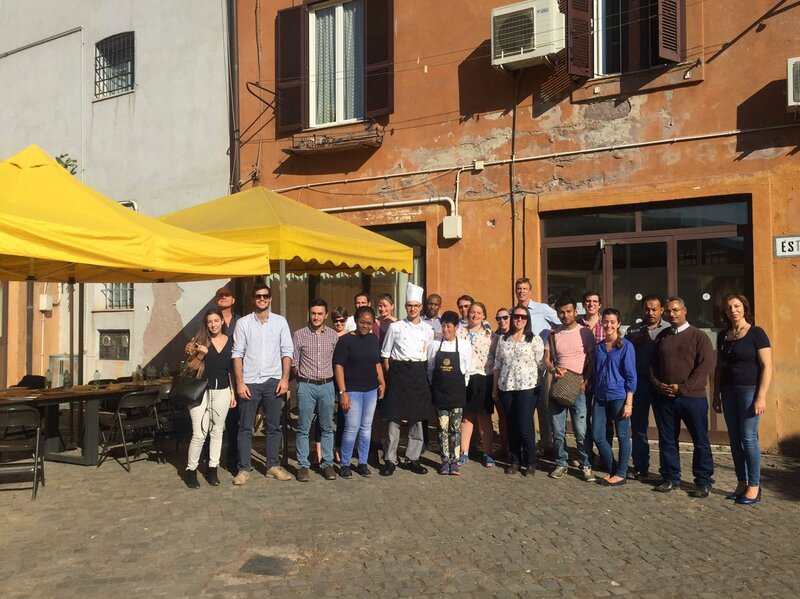 Since 2009, 22 early career scientists from 11 developing countries have received LEARN awards in the area of livestock emissions mitigation research. New Zealand participates in GRA engagement events to share the benefits of participating in the GRA to countries, scientists and institutes and international organisations that are not yet involved in the GRA. This type of engagement is also a good way to build relationships with countries which might not otherwise be possible. Below are a list of activities which New Zealand has directly contributed to. CLIFF-GRADS is a joint initiative of the CGIAR Research Program on Climate Change (CCAFS) low emissions agriculture flagship and the Global Research Alliance on Agricultural Greenhouse Gases (GRA). CLIFF-GRADS aims to build the capability of early-career agricultural students in developing countries to conduct applied research on climate change mitigation in agriculture. CLIFF-GRADS integrates the GRA’s new Development Scholarship, funded by the New Zealand Ministry of Primary Industries, and the Climate Food and Farming (CLIFF) Research Network, funded by CCAFS.